Spinal compression fractures occur when spinal vertebrae form cracks in their tough, outer exterior. What starts out as a tiny, hairline fracture, eventually worsens and becomes a spinal compression fracture. These fractures can cause a reduction in vertebral height in the spine, among other complications, which is why it’s imperative for patients to receive treatment for their spinal compression fractures before the condition worsens. 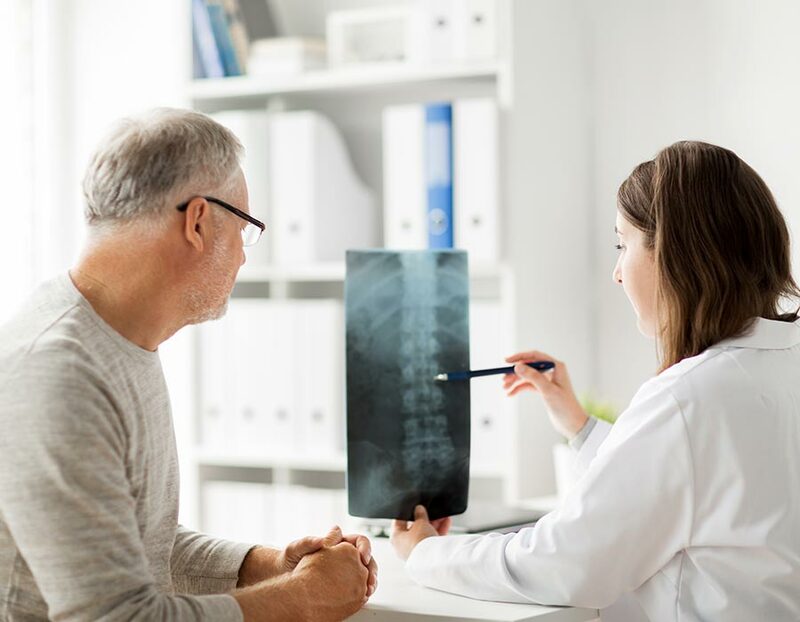 To diagnose this condition, patients must receive a thorough physical examination, which typically includes diagnostic imaging, to ensure other spinal conditions, diseases, or ailments are not present. Once the presence of a spinal compression fracture is confirmed, Dr. Mark Giovanini of NeuroMicroSpine will recommend various treatment options to not only slow down the progression of the condition, but to correct the spinal compression fracture altogether. Spinal compression fractures are typically caused by a bone-thinning disease called osteoporosis. This condition predominantly affects women over the age of 50, but anyone can develop spinal compression fractures. As the bones become thinner and weaker, they are increasingly susceptible to cracks and degeneration. As such, spinal compression fractures rarely repair themselves, so it’s important for patients to receive treatment right away. In the early stages, patients may not experience any symptoms that indicate that presence of a compression fracture. As the condition worsens, so do the symptoms, and patients suffering from this condition will usually report a sudden, sharp back pain, pain that worsens with physical activity, limited mobility in the spine, and height loss. Back pain that lasts longer than six to eight weeks should be evaluated by Dr. Mark Giovanini of NeuroMicroSpine. Initially, pain management for spinal compression fractures may comprise of over-the-counter pain medications, bed rest, hot and cold therapy, physical therapy, and back bracing. While effective, these conservative therapies only provide short-term pain relief, so patients will likely require interventional procedures to experience longer lasting relief. If interventional treatment options, like a nerve block, steroid injection, or radiofrequency procedure, fails to provide adequate pain relief, patients may want to consider minimally invasive spine surgery. Surgical interventions for spinal compression fractures include vertebroplasties, kyphoplasties, and spinal fusion surgeries. If you’re experiencing moderate to severe back pain due to your compression fractures, call NeuroMicroSpine today to schedule a consultation with Dr. Mark Giovanini. He will walk you through the various spinal procedures and work with you to determine whether or not you’re a candidate.